In one of the most profound lectures that I have heard in my life, Dr. Eric Cassell, New York City internist and author, at a Harvard conference on hospice discussed the “Nature of Healing.” His concept regarding spirituality moved me. He said, “Function reaches from the cellular to the spiritual. Something is spiritual when it transcends the individual. Relationships are spiritual. Religion is spiritual. Spirituality is a human function.” As a family physician, I fully subscribe to this spiritual aspect of my relationship with my patients. Dr. Cassell further discussed the role of the physician by quoting Dr. Donald Boudreau of McGill University’s Centre for Medical Education, Montreal, Quebec, who said, “All the therapeutic interventions of physicians are exercises in healing. There are some impairments of function where the technologies of medicine are most appropriate and some where the skill of healing is best employed; virtually always, however, both are in play and proper balance is the issue”, which Dr. Cassell then further described by saying in part, “Healing is personal” and “Healing is individual”. As I have I said in previous blog posts, I strongly believe in the concept of Patient-Centered Medical Home (PCMH), which fits this description of physician as healer. Treating a strep throat infection probably does not require this type of individual personal care, though if the visit prompts an annual exam, mammogram, preventive colonoscopy, or other preventive care, then even the strep infection visit may be made better within the context of a Medical Home. I guarantee you that in the areas of mental health, chronic disease, and most important, palliative care, having a continuous relationship that allows for individual, personal care can make all the difference in the world. This is further true when viewed in the context of family dynamics. As an example, the day I wrote this blog, I saw a 40-some year-old woman and her 15- and 17-year-old daughters, both of whom I delivered. In every one of their clinical visits, the family situation played a role in my evaluation and treatment of their various medical conditions. I reference the Harvard conference lecture to illustrate my views regarding not only the appropriate way to be a family physician, but also as the way health reform should proceed in order to promote quality and cost efficiency, topics which I have addressed in previous posts. In contrast, I share a quotation from Adam Zamoyski’s book, Rites of Peace. This book details the 1814 Congress of Vienna that politically divided up Europe after the defeat of Napoleon. The victors–Britain, Austria, Prussia, and Russia–gathered for eight months to discuss the divisions. The resultant negotiations, bargaining, and horse-trading led to this quotation: “One thing that had offended many. . . was the way in which ‘souls’ were counted, bundled into units and traded across the negotiating table like cattle.” This action was widely regarded as a violation of the dignity of man and of the rights of nations. On a very personal, individual, and dare I say, spiritual level, patients in this new health reform world need physician relationships that provide quality and efficient health care. I believe Patient-Centered Medical Home provides this care. Accountable Care Organizations will have to convince me that they too can provide this type of care. 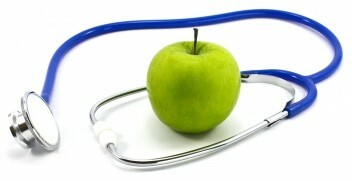 Without quality and efficient health care health reform will fail.